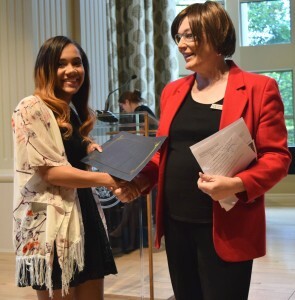 Students who received Rhetoric and Writing Departmental Scholarships and Writing Center Awards were honored at the College of Social Science and Communication Awards Ceremony at the Arkansas Governor’s Mansion May 2. Five rhetoric and writing majors and graduate students received departmental scholarships. Keely Reeves received the inaugural David and Lucille Chandler Scholarship. 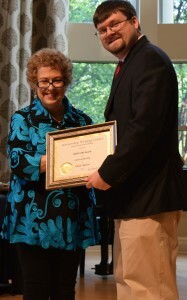 Robert McCarville received the Donna Barkan Jensen Writing About Families Scholarship. 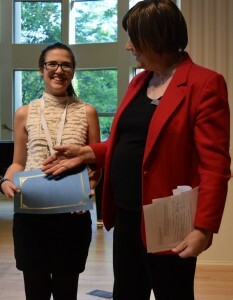 Alexandria Barnes received the Clarence and Judy Albers Quality Writing Graduate Scholarship. 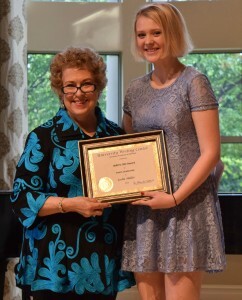 The Oliver-Breeze-Kennedy in Digital Literacies was awarded to Maegan Hendricks and the Oliver-Breeze-Kennedy in Technical Writing was awarded to Tina Butler Lee (not pictured). Writing center intern John Canfield received the The Luis Gabriel Award for Dedicated Service, the top honor for a writing center intern. John Canfield received the Luis Gabriel Award for Dedicated Service. The Milton Stephens Award for Service went to Amy Rhea and Melissa Johnson (not pictured). Eight students received The Write On Award, an honor given by their peers for their writing center service: Chad Austin, Alexandria Barnes, Leslie Haller, Sarah Sayyar, and Kimberly Thornton (not pictured: Emily Adkins Tiffany Davis, Kristina Yarberry). Chad Austin received the Write On Award. 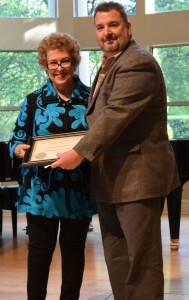 Leslie Haller received the Write On Award. Sarah Sayyer received the Write On Award. 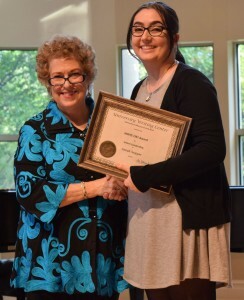 The Phyllis Keltner Volunteer Service Award went to Kimberly Thornton, who in addition to her 90 hours of required writing center service volunteered an additional 87 hours of service to writing students. Kimberly Thornton received Write On and the Phyllis Keltner Volunteer Service Award. The Larry Henthorn “Extra Mile” Award went to Brian Williams (not pictured). In addition to our student honorees, faculty member Allison Holland received the College of Social Sciences and Communications Service Award. 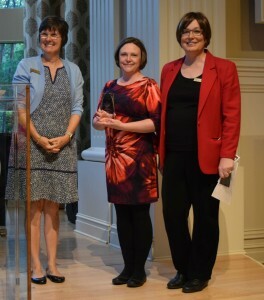 Allison Holland received the CSSC Service Award from Dean Lisa Bond-Maupin and Molly Smith. 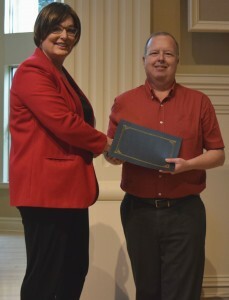 The Department of Rhetoric and Writing received the CSSC Curricular Innovation Award for the Graduate Certificate in Online Writing Instruction. 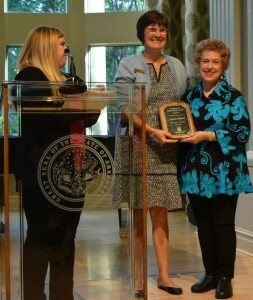 Dr. Heidi Harris and Dr. Joyce Carter accepted the award on behalf of the department. 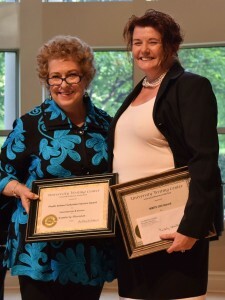 Heidi Harris and Joyce Carter received the CSSC Curricular Innovation Award from Dean Lisa Bond-Maupin. Congratulations to all of our departmental scholarship and award winners and our college award winners!